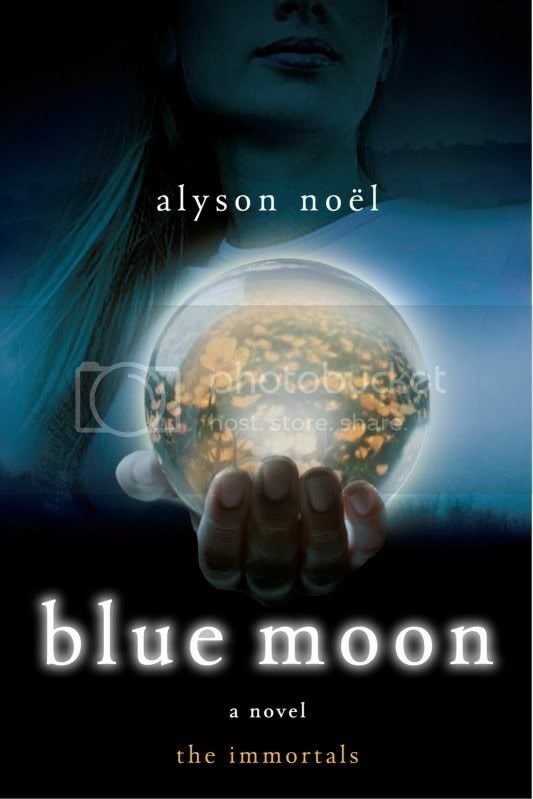 In this sequel to Evermore, Noel explores what might happen if psychic teen Ever had the choice to return to her past and prevent the car accident that took her family's lives at the cost of losing Damen, her one-true-love over the centuries. Is it worth it? There is trouble in paradise, as Damen's secretive nature creates conflicts in their relationship. Ever doesn't feel ready to take their relationship to the next level, chastely insisting that since he's waited 600 years for her, what's a little longer? And, she's still a little intimidated by how perfect he is. New guy, Roman, appears to bring everyone under his spell, including Damen, who, predictably, turns on Ever once again, and begins to court queen bee Stasia. Damen begins growing sick with a mysterious illness, and Ever is certain that Roman is behind whatever is poisoning him. This puts Ever into tailspin of depression, as she desperately tries to figure out what's going on. Eventually, she sorts out a few secrets, including the fact that Roman is a rogue Immortal, bent on harassing Ever as punishment for the loss of Drina. When she figures out how to time-travel, she's faced with a choice. Should she go back to the point in time when Roman turned Damen against her? Or, go even further back in time, and save her family (which would mean she never would have moved to Laguna Beach and met Damen in the first place?) Ever decides to try and have it both ways, by writing herself a note, not to forget her sweatshirt (she blames herself for the car accident that killed her family when they turned around for her forgotten camp shirt, and hit a deer), and to not forget Damen. To me, the most interesting part of the book was when Ever finds herself back in her old life in Oregon. On the whole, she is pretty happy, but she's plagued by niggling doubts that something is off, something is missing. She finds herself suddenly very unattracted to her boyfriend, and wishing for something different. As her memories start to come back, she feels certain that she can prevent the car accident. At the crucial moment, her sister Riley reminds her that she doesn't belong there, and even though Ever's done everything she can think of to prevent it, the car accident happens anyway. I thought the whole family vs. true love presented a false dichotomy. If Damen's been hunting her down and finding her over and over again for the last couple of centuries, surely he'd find her in Oregon, eventually, right? And it sets up the possibly disturbing idea that you can't have a relationship and stay close to your family at the same time. In this world, you've got to choose one or another. When Ever returns to her own timeline, she is tricked by Roman into giving Damen a potion that she thinks will cure him as he's on the brink of death. The book ends with quite a cliffhanger, as Damen's life is saved, but he may not be able to be with Ever anymore. Readers with an uncritical eye looking for some fast-paced pleasure reading could do worse than to tackle this sequel in the popular Immortals series.